Another order from one of my favorite shops, Plan to Plan!! My daughter and I ordered together on Saturday evening and had them by Wednesday!! I love the shops that ship quickly!! Thank you for stopping by Indiana Inker. Don't forget to subscribe so you won't miss a post. Visit Kelly's profile on Pinterest. Be sure to check out the Archive posts as well. I look forward to reading my visitors comments. I am a full-time admin assistant, a mother of 3 and a grandmother of 5. 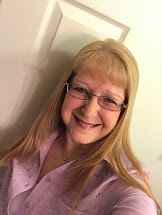 I enjoy decorative planning, card making, sewing, bargain shopping, helping others and spending time with my friends and family. . I'm a full-time Administrative Assistant, mother of 3 adult children and grandmother of 5. I'm a former Stampin' Up! demonstrator. Although I no longer sell, I still love their products. I enjoy decorative planning, card making, sewing, general crafts and crocheting. I tend to stick more with the quick and easy projects these days. My Grandma started teaching me to craft when I was young and have done it since. This is my personal blog, I am a former Independent Stampin' Up! Demonstrator, and I am responsible for its content. Stampin' Up! does not endorse the use of or contents of the classes, services, or non-Stampin' Up! products I may offer here. 2011. Simple theme. Powered by Blogger.